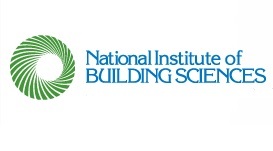 WASHINGTON – (RealEstateRama) — There are only two days left to register for the National Institute of Building Sciences Facility Maintenance and Operations Committee (FMOC) one-hour webinar, Design for Maintainability: The Importance of Operations and Maintenance Considerations during the Design Phase of Construction Projects, to be held Friday, September 14, from 12:00 to 1:00 pm ET. Don’t wait to register to learn about the benefits of getting early operations and maintenance (O&M) input. O&M expenses can account for as much as 80 percent of a building’s life-cycle costs. Yet, working with facility professionals during the design phase of the project can alleviate these costs and help optimize building performance. Darrell Rounds, FMA, CEM, the immediate past chair of the FMOC and a current member of the Institute’s Board of Directors, will conduct the webinar. He will discuss how “Design for Maintainability,” a methodology that links O&M goals to the design process, can be applied to any organization. With more than 20 years of experience in facilities maintenance and operations management, Rounds serves as a facility engineering manager responsible for electrical and mechanical systems within the Sustainable Workplaces organization at the General Motors Company (GM). In this role, his group leads the electrical and mechanical design activities for new construction and major renovations. His former duties as a technical group manager entailed maintaining the technical oversight for facilities operations at 16 manufacturing operations totaling 52 million square feet, and containing assets with an approximately $7.5 billion total replacement value. He previously led the facilities maintenance, industrial cleaning and asset sustainment activity for GM, where he and his team of engineers were responsible for prioritizing facilities asset sustainment initiatives, problem solving and disseminating facilities maintenance best practices across GM’s vast portfolio. He is a member of Professional Facility Management Institute (ProFMI) and serves on its advisory body, the ProFMI Commission. Sign up now to attend the free Design for Maintainability webinar onSeptember 14, 2018. Space is limited to 100 attendees, so don’t wait. Register today! Interested in other O&M topics? Then be sure to register for FMOC’s October webinar, Transitioning a New Facility from Construction to Operations and Asset Management, scheduled for Friday, October 5, from 12:00 to 1:00 pm ET. Sign up today. The WBDG Whole Building Design Guide® offers a number of O&M resource pages, including a page on Design for Maintainability and a page on Transitioning a New Facility from Construction to Operations and Asset Management.